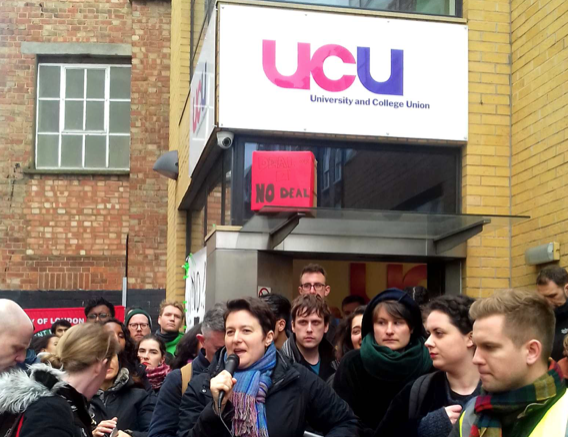 On Tuesday 13 March, UCU members in their thousands voted, emailed, tweeted, lobbied and protested against the outcome of the UCU and UUK negotiation. Members argued that to accept this offer would be ‘#Capitulation’. There were many reasons why members were opposed. But the central reason was the massive 19% cut in the value of the Defined Benefit pension and the risk that CPI would cut it more. It expanded Defined Contribution down to £42K, drawing in members on Grade 8/Senior Lecturer grades. It was a three-year deal which was bound to unravel. Members were incensed at the scale of the cut and the thought we would have to fight to protect our pensions in three years’ time all over again. This ‘deal’ came out of a negotiation conducted within the terms of the ‘November Technical Provisions’, i.e. within a massive deficit cost envelope. This is fundamentally why the offer was unacceptable. We have to argue that the deficit is not real. It is a projected deficit based on assuming the scheme was wound up. We should argue that USS should instead be valued on an ongoing basis, i.e. as a going concern. If the USS Board need the Government to guarantee the future of the scheme, then USS and UUK should join UCU in calling for a government guarantee. 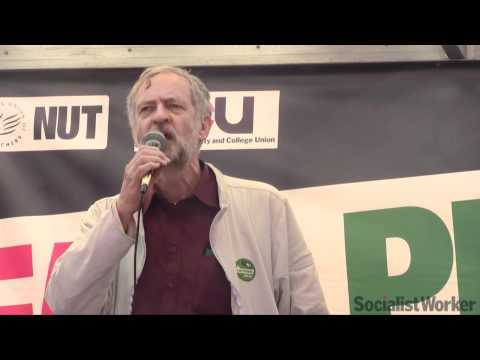 We demand the status quo, i.e. #NoChange to our USS Pension. And we’ll take whatever strike action is needed to win it. We’ve already had our pensions cut enough. Status quo, the only way to go! The proposals for change are based on specious assumptions. Academia has had enough! We have had enough. This is the first of many fights by Workers. Massive respect to UCU members for rejecting the totally inadequate deal they were offered. ALL public sector unions, including my own (NEU) should take confidence from this and fight the cuts imposed on our pensions. Academic institutions’ role in the society is constantly under threat and through this even more talent will be discouraged to join academia. People have the right to work hard and retire with dignity. We will keep at it. Status Quo! Way too go! Status Quo! Way to go! Stick to your guns and don’t be conned by any rotten sell-out ‘compromise’ deals. You can definitely win this. Most public-sector workers understand that you aren’t just fighting for your own narrow financial interests but for the rights and dignity of us all.